Isa and her alien registration card. Even though Isabel was born in Korea, she’s an American. So she didn’t have the official okay to live in the country unless she got an Alien Registration Card. 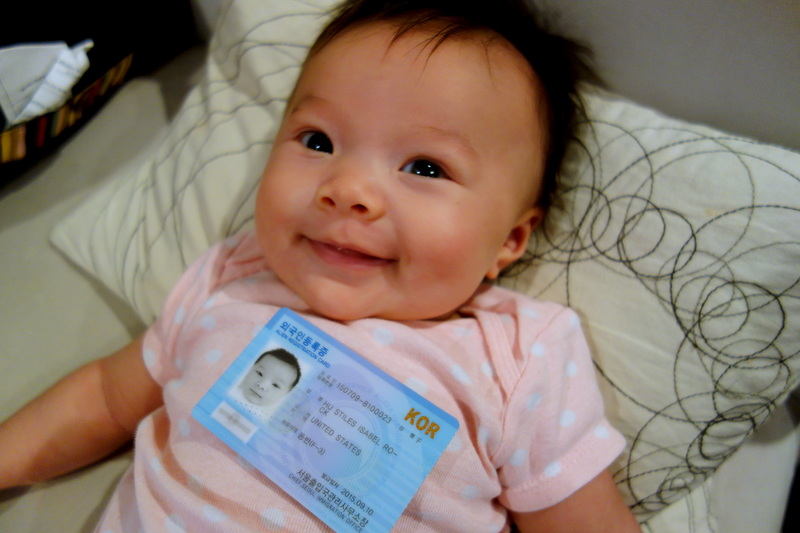 Her card arrived in the mail today, and Isa is pretty excited she’s a legal alien now…in the country of her birth.